We have Seen Many Smartphones explodes due to the faulty charger or overcharging now a Xiaomi Note 4 smartphone exploded in the pocket of a user in Ravulapalem in East Godavari district on Sunday. 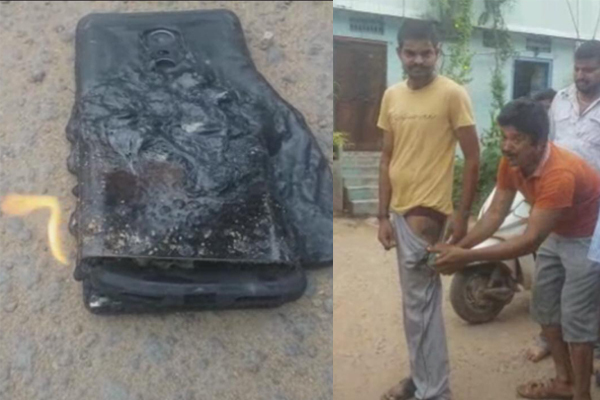 We would like to clarify a recent incident of a damaged Redmi Note 4 in East Godavari, Andhra Pradesh. We were able to procure the device after a week of multiple conversations with the customer. Upon first impressions of the damaged device, we can conclude that extreme external force was applied to the device, which led to the back cover and battery being bent and screen getting damaged. A detailed investigation has been launched to understand the exact cause of the damage. We would like to request our customers to avoid opening the device, puncturing the battery or applying extreme physical force to the device. Further, do refrain from getting your smartphone repaired at unauthorized repair shops. Instead, if you find issues with your device, visit Xiaomi Authorized Service Centers (575 across 350+ cities) or reach us directly on our hotline 1800 103 6286 immediately.